If you’re thinking about having a pool installed, you’re sure to be wondering what sort of filtration system is the best pool filter. One thing you should consider is the ease with which the filtration system you choose can be serviced. You’ll want something that will not be a big hassle on a regular ongoing basis. 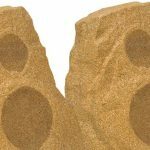 When choosing a filtration system for your backyard pool, the most commonly chosen types are cartridge filtration systems and diatomaceous earth filtration systems, also known as DE. You may have heard of sand filters; however, this type of filtration system is most commonly used for public pools. A Cartridge filtration systems have been around for quite awhile. This type of filtration system uses a cartridge filter that screens contaminants from the water as small as 10 to 20 microns. This is a very efficient filtration system if it is kept very clean. If you have a cartridge filtration system, it’s important that you have weekly pool service established to prevent clogging and contamination. The filtration cartridge must be removed from the system quite frequently and flushed clean with a garden hose for optimum performance. The size of your pool and the number of swimmers you normally have will dictate the amount of maintenance needed by a cartridge filtration system. In terms of expense, the cartridge filtration system is quite expensive across the board. You will find that purchasing, installing and maintaining this type of system can become quite costly. Additionally, you will need to replace the entire cartridge every 2 to 4 years, and this can add up. DE Filtration is quite effective and efficient, and it is a natural method of filtration. DE filters out very small contaminants of 1 to 3 microns. The vast majority of pool repair service representatives recommended DE filtration. DE is a very porous natural powder consisting of microscopic particles that are very coarse. As water passes through the DE filter, microscopic contaminants, along with dirt, dust and algae are trapped within it. 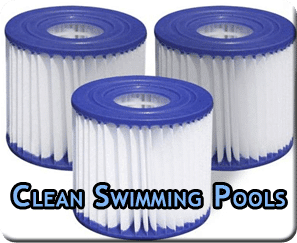 Your weekly pool service will be quite simple if you have a DE filter. The system can be backwashed, drained and fresh DE added as needed. DE filtration is extremely efficient and can get along with a minimum of maintenance. While weekly pool service is always a good idea for lots of reasons, the fact is a DE filtration system can do a good job with only monthly service. While you will still want to have your swimming pool service professional take care of the many aspects of your pool on a weekly basis, having a DE filter will help make this job quick and easy by keeping your pool in tiptop shape. In terms of cost, the DE filtration system is quite affordable. Regular maintenance is inexpensive, and purchase and installation are less expensive than the purchase and installation of a cartridge system. From time to time, the grids within the system must be replaced and this can get costly; however, the need for this service is few and far between. One thing you must check on before purchasing a DE filter is whether or not your municipality allows it. Some do not because disposal of used the material can be considered biohazardous. Consult with your swimming pool maintenance professional to get good information about this. 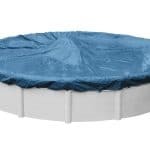 Although sand filtration is typically used for public pools, occasionally an individual may choose it for a backyard pool. It is a very natural and inexpensive form of filtration; however, it is not as effective as cartridge or DE. Sand filtration works by using specialized filtration sand (#20 silica) to filter out contaminants of 20 to 40 microns. The good thing about a sand filter is that it does not become clogged frequently, so it’s a good choice for pools with lots of traffic. 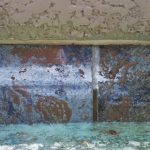 It’s very important to remember that this type of filtration system absolutely must have thorough weekly pool service to keep it functioning properly. In public pools, the sand must be replaced every three years. In private pools, it must be replaced every six years. This is a very inexpensive process. The information presented here makes it easy to see that the DE filter may be the best choice for just about anyone. Nonetheless, it’s a good idea to consult with a good swimming pool service before making a choice. Highly skilled and trained swimming pool maintenance professionals should be up on all the latest in the swimming pool industry as well as local regulations and ordinances. A professional consultation will help you make the right choice for your pool.